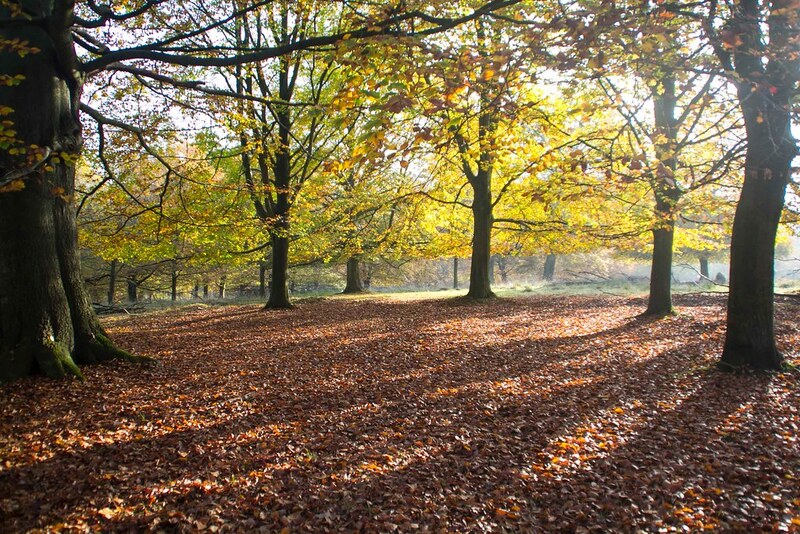 If you like the nature, looking to get some fresh air or maybe just want some quiet time away from the busy city The Deer Park is a very good option. 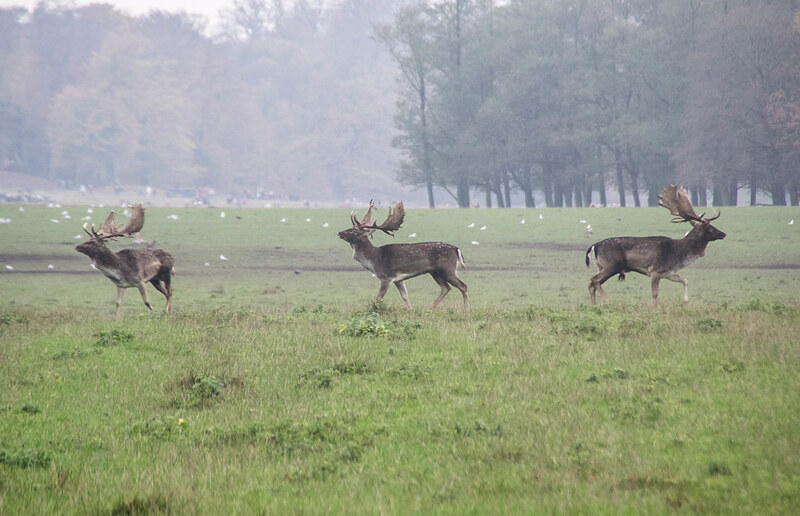 The Deer Park is a nice and very beautiful park located only around 13 km (8 miles) north from downtown Copenhagen. 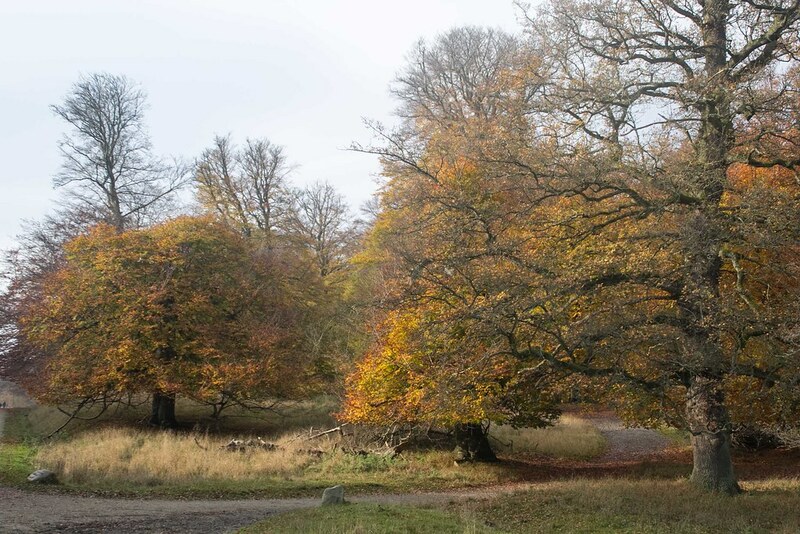 In Danish this park is called Dyrehaven which simply means The Deer Park. Sometimes the park is also known as Jægersborg Dyrehave or Jægersborgs Hegn. 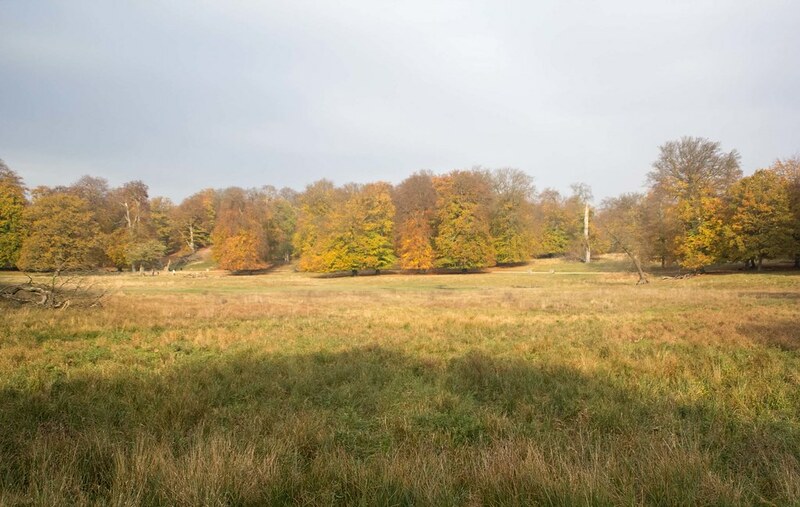 The history of The Deer Park goes all the way back to 1669, where the Danish King decided to fence some part of the forest and let deer live freely. His intention was to use the park for hurting purposes. Today, the park is covering approximately 1000 hectares which is about 11 square kilometers (4.2 sq. miles). 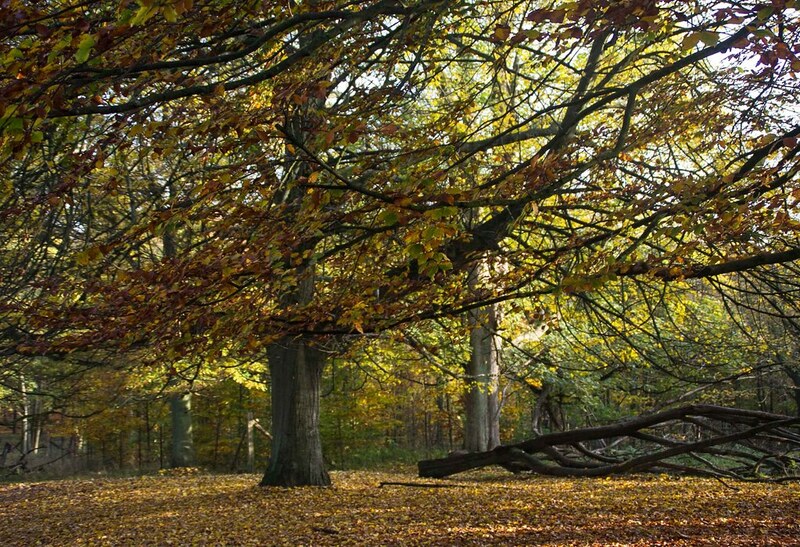 The park is mostly cultivated woodland and grassland, and is by far the most visited nature reserve in Denmark. Annually, the park has about 7.5 million visitors. The biggest attraction is the large amount of wild deer living in the park. 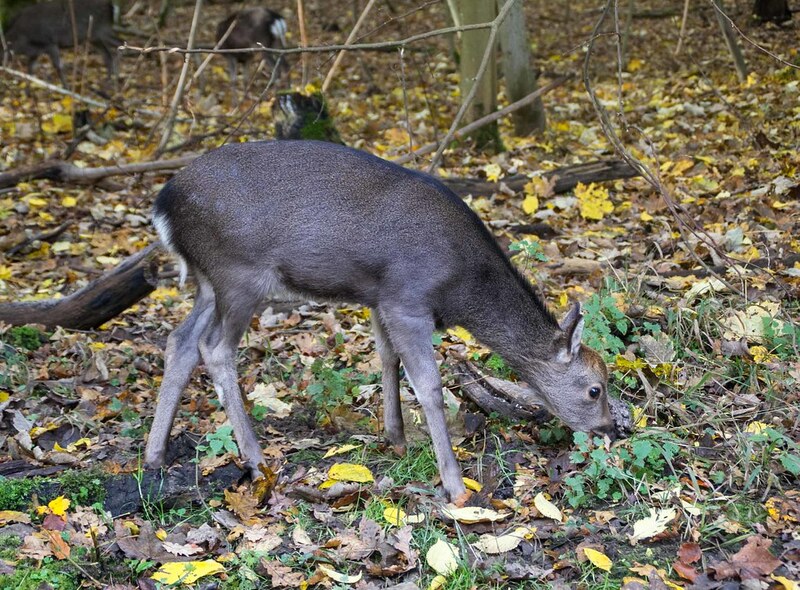 More than 2000 deer are living freely within the park and can be seen all over the park. 1600 of the 2000 deer are Fallow deer, 300 are the larger Red deer and about 100 of them are Sika deer. Because of all the deer the entire park is fenced. The wild deer are habituated to people, so it is possible see them at a very short distance, which gives a very unique opportunity to take great photos and in general get a nice experience. Besides the deer the forest is home for a large number of different bird species. So it can easily be said that the park offers a super wildlife experience. The park is very popular among the many people living around it. The park is located about 5 km (3 miles) from the Technical University of Denmark (DTU), which is the largest Technical University in Denmark where about 9000 students are studying to become engineers. Many of people living close to the park uses it for runs, walks, bike trips, pick-nicks and horseback riding just to name a few. It is very easy to get to Dyrehaven. From downtown Copenhagen the trains departs from Copenhagen Central Station and stops at Klampenborg Station which is located just east from the park. We can recommend to use Rejseplanen.dk or Google Maps to check departure times, both sites has English language available. The park is completely free to enter. In general it is very nice and quiet at Dyrehaven, where it is possible to enjoy the nature at its best. However, Dyrehaven is also the venue to several large events ever year. The two biggest events are differently the E-run and the Hubertusjagt. The E-run is a short for the Eremitage-run which is a 13.3 km (8.3 miles) long run where 19.000 people are participating annually. The route is laid out throughout the entire park where the runners are passing by the large Eremitage plain (Eremitagesletten) and the Eremitage palace where there is a wonderful view over Oresund (Eastern sea). The event is taken place in fall and has been held each year since 1969. 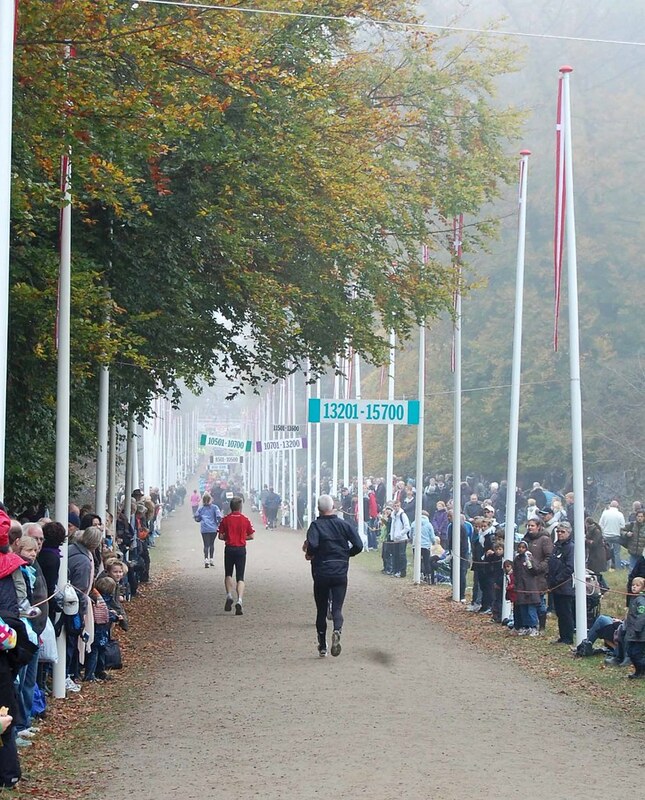 Over the years more than 600,000 people have completed the run, which is properly one of the most beautiful runs in Denmark. The run is very popular and for many of the participants it is great tradition. It is also a run where many people are showing up just to watch and cheer. 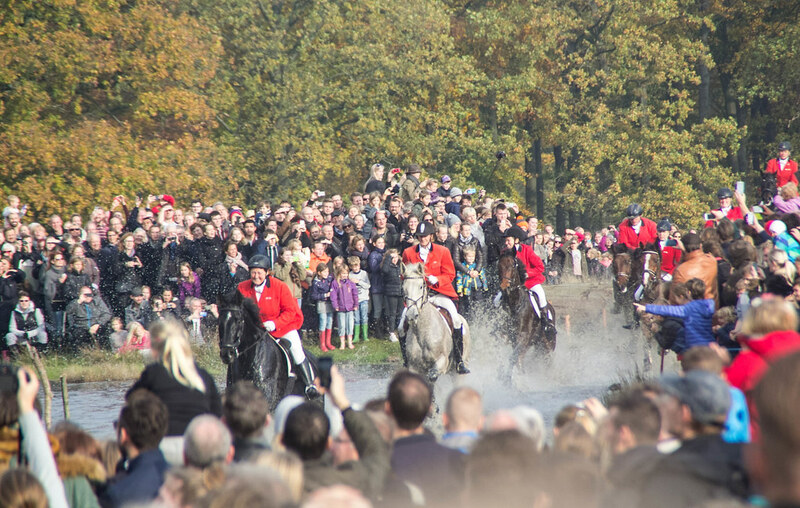 Another very popular annually activity at The Deer Park is the Hubertusjagt which is a modern version of the old Drag hunting where a scent was dragged over a course, typically in natural environments like a forest. The Hubertusjagt is a long ride, typically about 15 kilometers (9 miles) which includes about 30 smaller barriers or obstacles. Most of these obstacles are hurdles which the horses must jump. However, the most popular obstacle of the competition is the place where all the contestants has to go through a pond, which is called Magasindammen or The Magasin Pond in English. The pond is about 20-30 cm (8-12 inch) deep and filled with cold water and mud. Usually one or more riders fall of their horses into the water – which is properly what all the spectators are hoping for. The race takes place annually on the first Sunday in November and depending on the weather up to 40,000 people are spectating the race throughout the entire forest and enjoying all the horses and the beautiful, and very colorful, forest. About 160 riders are participating in the contest, where 130 are adult riders and about 30 are pony riders. The race takes several hours including breaks – so there are good opportunities to move around in the forest and to see different parts of the race. The history of the race goes back to the year of 1900 and has taken place each year since. Besides the traditional tourist attractions you should check out Nørrebrogade (about number 95-120) if you like Kebab. Copenhagen Street Food (Trangravsvej 14, 7/8 1436 København K) is also worth a visit. If you like sushi you should try Takii (Jagtvej 113) which has a nice ‘all-you-can-eat concept’ – this is our favorite sushi place. Netto is a cheap supermarket to get groceries there are several stores downtown. This is a great pos!. I was wondering if it is allowed to bring dogs up to the park as well? Hi. I don’t have a dog myself. However, I’m 95% sure that you are allowed to bring a dog as soon as its in a lease. Thank you for posting this. I’m returning to København for 3 weeks in September. I was there for 3 weeks last October and loved the city. I’m looking to branch out and visit more of the country while there. I may have an opportunity to live there for a year or two next year!